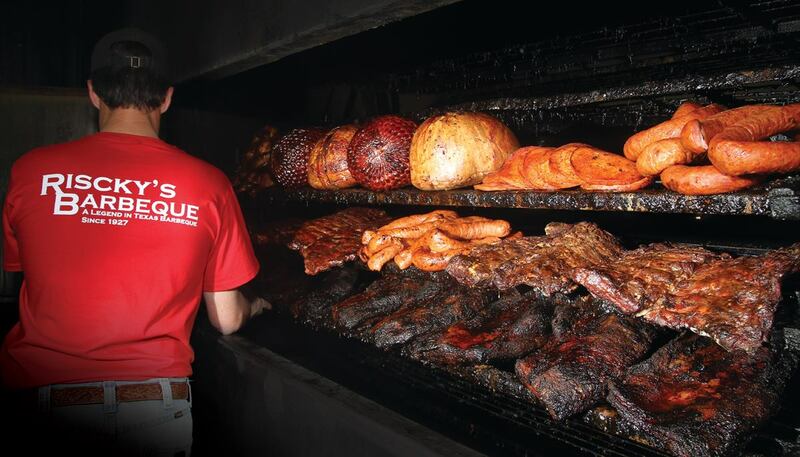 In honor of the National Day of the American Cowboy, Riscky’s Barbeque is hosting the 9th annual rib eating contest at 2:30 p.m. on Saturday, July 25, 2015, to coincide with events hosted by the Fort Worth Stockyards and Stockyards Station. Riscky’s Barbeque, a Fort Worth BBQ legend since 1927, along with Stockyards Station, has challenged 20 barbecue enthusiasts to eat as many Riscky’s beef ribs as possible in 20 minutes. The top two qualifiers will then go head-to-head for the $500 grand prize. The National Day of the American Cowboy event in Fort Worth was voted the “Best Cowboy Tribute Event” in the U.S. by American Cowboy Magazine and has become an annual staple in the Fort Worth Stockyards. The event provides more than 10,000 attendees with the opportunity to celebrate the history and heritage of the American Cowboy, with family-friendly activities taking place all day including the World Championship Hay Stacking Contest, the Cowboy Celebration Parade, cow milking, chuck wagon demos, watermelon eating, seed-spitting, cow chip throwing, buckaroo coloring, cowboy karaoke, a historical fashion show, the Fort Worth Herd Cattle Drive and much more. Free to enter, and just call the restaurant in Stockyards.